Do you grind your teeth? If you do, then the health and appearance of your smile may be at risk. Chronic teeth grinding, also known as bruxism, can damage teeth and increase the risk of various oral health concerns. By treating the issue, you can stop these grinding/clenching episodes and help safeguard your smile. 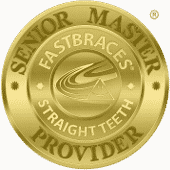 Need A Great Smile Fast? Snap It On!